What are the required skills and proficiencies? I’m sure you know those questions inside and out. But, what about the recruiter questions that help you dig deeper? I’m talking about the kind of questions that give you confidence in your search and help you efficiently move candidates through the interview process. I’m going to show you the right questions to ask a hiring manager. The ones designed to help you make more placements, faster. Why the right recruiter questions matter now more than ever. Speed and efficiency are the name of the game in talent acquisition right now. Job openings in the U.S reached record highs in 2017. In-house recruiters bucked a national trend and increased their base salaries last year. At the same time, recruitment agencies have almost tripled their revenue since 2009. More job openings mean more work (and more job security) for recruiters. But they also mean a lot more competition for the best candidates. According to Jobvite’s 2017 Recruiter Nation report, 89 percent of recruiters expect competition for top talent to heat up in 2018. To stay competitive, companies need recruiters like you to take on the role of a strategic talent advisor. Being a talent advisor means stepping up beyond the traditional recruiter responsibilities of sourcing and interviewing candidates. It means building true partnerships with your hiring managers. The kind of meaningful relationships that set your company up for immediate and long-term recruiting success. A talent advisor understands that relationships with hiring managers are four times more influential to their recruiting success than any other factor. And how exactly do talent advisors define “recruiting success”? That Jobvite report I mentioned earlier highlights “time-to-hire” — a.k.a “speed and efficiency” — as the biggest measure of success for recruiters. But, with increased competition in today’s candidate-driven market, the average time-to-fill is actually getting worse for most recruiters. So, how exactly do talent advisors decrease their time-to-fill and improve their relationships with hiring managers? Best-in-class recruiters spend time with the hiring manager discussing the job before they ever get started on a search. Of course, the right questions makes all the difference during those preliminary conversations. Good, focused recruiter questions help you source better candidates. And they also provide the information you need to better “sell” the job to passive candidates. #1. What are three non-negotiable “must-have”skills all candidates need to be considered for the job? Duh, of course I ask my hiring manager about the candidate’s “must-have skills” before starting a search. But take a second and read the question again. Because it’s not just about figuring out the “must-have” requirements. It’s about forcing (in a nice way) your hiring manager to focus in on just the three most important, non-negotiable skills. You and I both know that there’s rarely such thing as a “perfect” candidate. But getting your hiring manager to acknowledge that is a different story. Narrowing down their list of “must-haves” to a manageable number helps them evaluate what really matters in a candidate. And in turn, trimming the fat on the job requirements helps you actually expand your candidate pool. #2. Time, speed, and cost: which two are most important to you? Did you read our recent post on the differences between recruiters and talent advisors? We borrowed it from John Vlastelica’s presentation at the 2017 NWRA December Luncheon and believe it’s an invaluable resource for talent advisors. Why? Because it is the perfect visualization of the compromises hiring managers need to make in order to get what they want. Want an amazing candidate quickly? It’s probably going to cost you more than the average market salary to make that happen. Need top-tier talent on the cheap? Understand then that it may take considerable time to find that diamond in the rough. The point of Vlastelica’s triangle is that at any given point, your hiring manager can only have two of the three. And presenting these options to the hiring manager at the start of the process helps you understand what’s important to them. Are they on a tight budget? A pressing deadline? The hunt for a best-in-class candidate? The question gives you a better understanding of what you need to deliver in order to improve hiring manager satisfaction. Of course, you’re going to encounter plenty of hiring managers who want to have their cake and eat it too. Those hiring managers who think it’s totally possible to find an amazing software engineer by Friday, in Omaha, for $10k below the average market salary. And that’s where SeekOut’s People Insights tool can be an amazing resource for you. Nothing gives a talent advisor credibility quite like hard data. People Insights offers exactly that in an easy-to-understand, shareable format. All of which can be used to make a solid argument to your hiring manager on the time, quality, or cost concessions they need to make. #3. What questions do you want me to ask before passing a candidate to you? And unfortunately, there’s hard data that reflects their sentiment. According to Jobvite’s 2017 Recruiting Funnel Benchmark Report, only 20 percent of candidates who interview with a company end up receiving a job offer. So, how do you improve your interview-to-offer ratio and also boost your hiring manager’s confidence in your screening ability? You collaborate with the hiring manager on the right recruiter questions to ask during the initial phone screen. Find out the questions (and why you’re asking them). Knowing the questions without a reason behind them won’t help you in the long-run. Some questions might be obvious (“What’s their current salary?”). But others may have a deeper meaning (“Why are you interested in our company?”) that you need to understand to build a better relationship. Understand the right (and wrong) answers you’re looking for. Of course, the questions are only half of the equation. You also need to know what responses get a pass, and which automatically disqualify the candidate. These first three questions help you become a better sourcer. #4. Why should a candidate consider this job? More candidates are declining job offers than ever before. The national unemployment rate is hitting lows that haven’t been seen in decades. There’s no denying it’s a candidate-driven market, folks. And as a result, you can’t just assume that every contacted candidate is chomping at the bit for an opportunity to work at your company. There are plenty of reasons why a candidate might deny your job offer. This question helps you avoid those reasons. Why? Maybe it’s tremendous upward mobility. Or, a generous bonus and equity plan. Perhaps it’s the team of people they’ll get to work with or the interesting projects they will contribute to. It could be as simple as your company’s flexible work-from-home policy or the nice little signing bonus you’re prepared to offer. The point is that this question gives you the information you need to peak the candidate’s interest in the role and (hopefully) get them in for an interview. #5. In your opinion, why would a candidate walk away from this opportunity? If we intended the last question to tell us why a candidate should take the job, this one does the complete opposite. It reveals why they may not. If you know a candidate’s potential concerns ahead of time, it becomes a lot easier to combat them in the moment. Say, for example, your hiring manager tells you that he’s hit a few snags hiring for this role in the past. One of which is the often long hours required to get projects done and hit deadlines. If a candidate were to voice that concern unexpectedly on a call, you’d probably have a hard time defending it on the spot. But, if you knew about ahead of time, it’d be easier to put together an explanation (or at least, a counter-balancing perk) to offset the candidate’s concern. Both of these questions are equally important when it comes to crafting a better recruitment narrative for your candidates. And that narrative can really come in handy when you have a great candidate on the phone who is clearly “iffy” about moving forward in the interview process. With these five questions, you now have a great starting point for your first kick-off conversation with your hiring manager. And that means you’re well on your way to elevating your role from recruiter to strategic talent advisor. SeekOut can help you get all the way there. 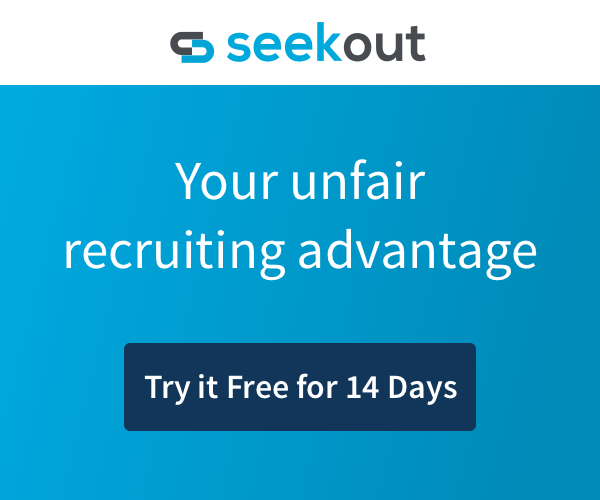 Check out our platform free for 14-days where you can access professional profiles, verified email addresses, and social links for over 100 million candidates in the U.S.
And while you’re at it, check out our new Google Chrome extension: SeekOut Sourcing Assistant. It’s completely free!